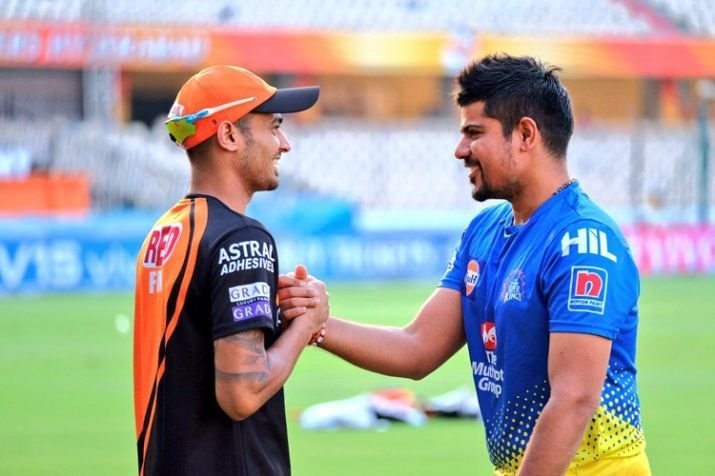 In today’s match IPL 2019 Chennai Super Kings will be taking on Sunrisers Hyderabad. SRH which had a great start to the tournament has been losing matches due to the performance of their middle order. CSK would like to from strength to strength as their match winner Suresh Raina is back in form. CSK is in tremendous form in this year IPL like as always. They have just lost 1 match out of 8 till now and are at top of the table. DJ Bravo has started practising but looks like CSK will give hime some more time so he is expected to miss this match.They are expected to go with unchanged playing11. On the other hand, SRH is loosing their track as they have lost their last 3 matches in a row.Their middle order is not clicking and that is a big concern for the team.Most probably they will bring Manish Pandey in their playing11 in place of 1 or Ricky Bhui or Deepak Hooda.D Warner and J Bairstow will open the inning of the team while K Williamson is expected to bat at 1 down.